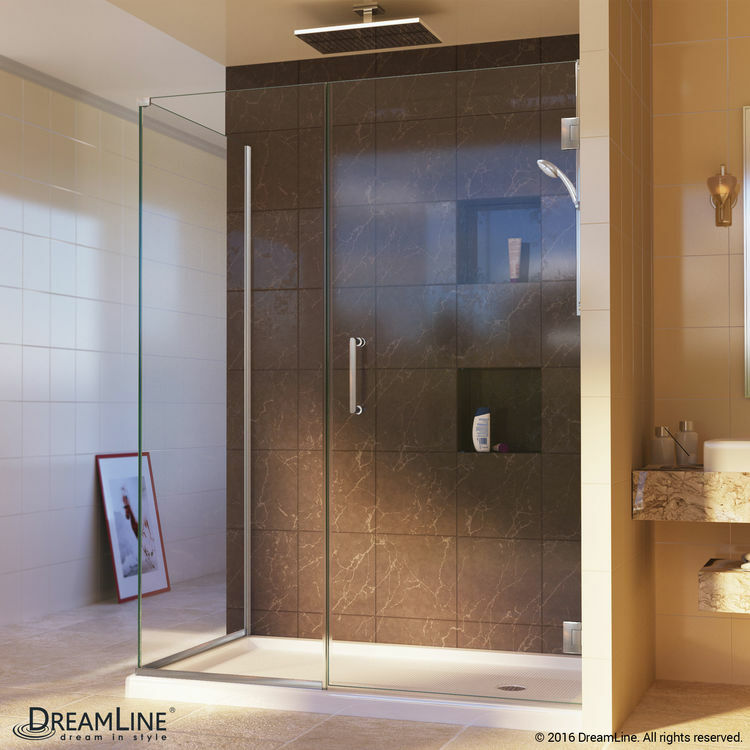 DreamLine showcases this brushed nickel frameless hinged shower enclosure that belongs to the Unidoor Plus Collection, the SHEN-24305300-04. It is beautifully designed with an extra splash of class to fit with today's trends. Its brushed nickel finish provides durability and vibrancy. Featuring a 3/8-inch (10 mm) thick ANSI-certified transparent tempered glass, it is highly proven when it comes to quality, safety, and reliability. It has a frameless glass design which provides an open, airy look and minimizes mold risks because it prevents water build-up underneath the door's seals. 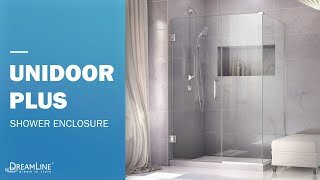 This shower enclosure features a solid brass self-closing hinges (with a 5-degree offset) that are strong enough to support and secure the fixed glass panel. It has a 23" door walk-in. 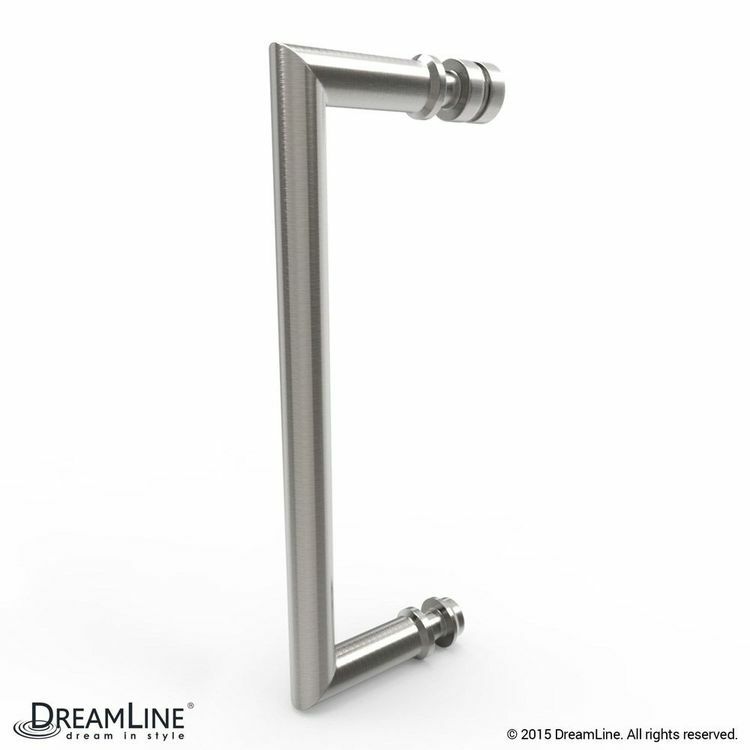 This DreamLine SHEN-24305300-04 has overall dimensions of 30-1/2" in width, 72" in height, and 30-3/8" in depth. With its reversible right or left door opening installation, it will fit in most spaces as it can be adjusted by a few inches to fit the layout of your bathroom. 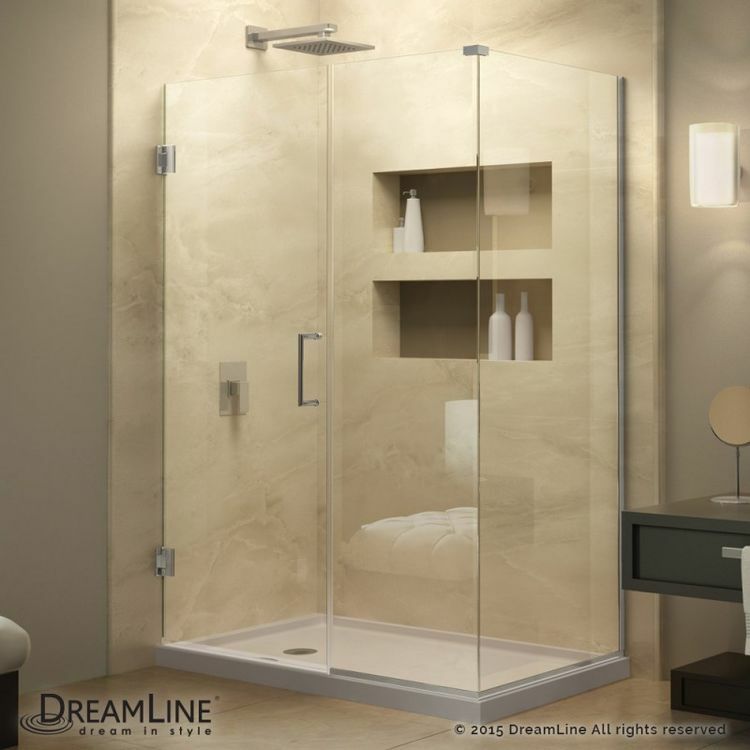 This shower enclosure features a DreamLine-exclusive ClearMax glass coating for excellent protection and quick maintenance. ClearMax is a stain-resistant, water-repellent, and an anti-lime scale coating. This Unidoor Plus hinged shower enclosure consists of a single hinged door, a 6-1/2" stationary inline panel, and a 6-1/2" stationary return panel. All measurements must be taken only AFTER the walls are finished. It is covered by a limited lifetime warranty. The shower base is sold separately. 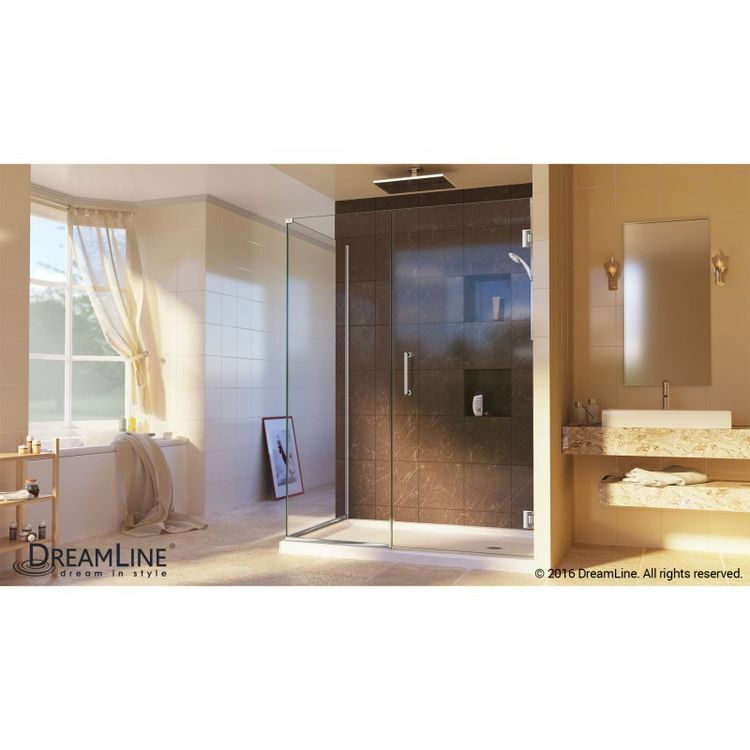 With innovative design and overall quality assurance, DreamLine has achieved worldwide recognition within residential and commercial marketplaces for custom and off-the-shelf shower door solutions. 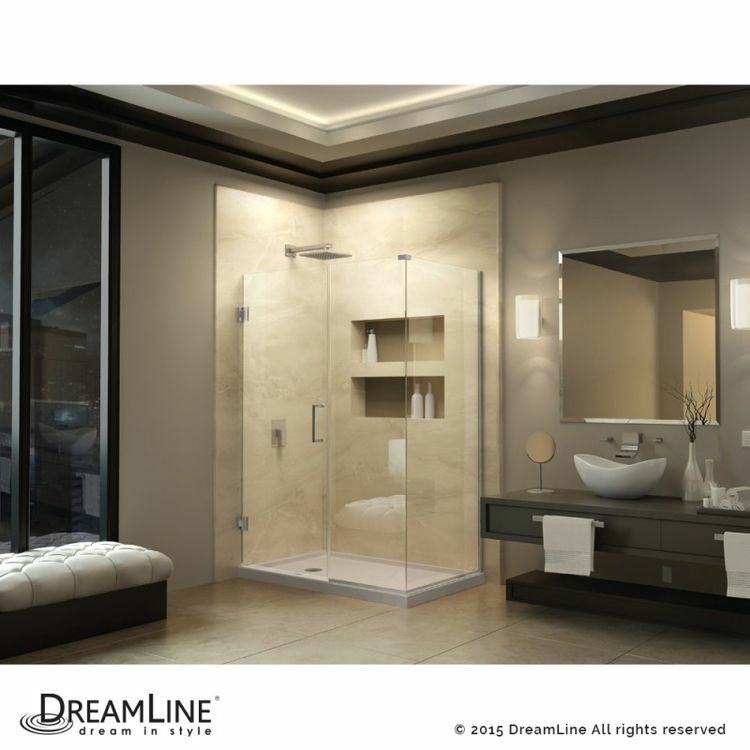 NOTE: DreamLine shower bases will always be larger (approximately 2 in.) than the corresponding DreamLine shower enclosures/doors. Please take this information under advisement when ordering your shower base and shower enclosure separately.